Tired of the same destinations? Take a look at one of the fastest emerging cruise destinations in the world: Dubai. Spectacular beauty, rich culture and a storied history surround this budding rose of a destination. Continue below to find a great deal on a cruise from Dubai. Dubai cruising is a fantastic choice for cruisers looking for just about anything. The city has emerged as a glamorous oasis in the desert. You can spend your days in luxury as you visit the world’s tallest building, Burj Khalifa or ski inside a mall. Yes, we said ski, in a mall in Dubai. You could also choose to venture into the desert for an ATV ride or a hot air balloon experience. 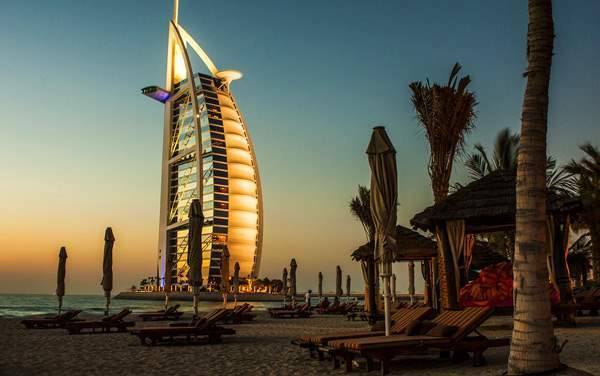 Whatever you choose to do, when you are in Dubai, you’re in for an adventure. Scroll down for sales on cruises departing from Dubai.